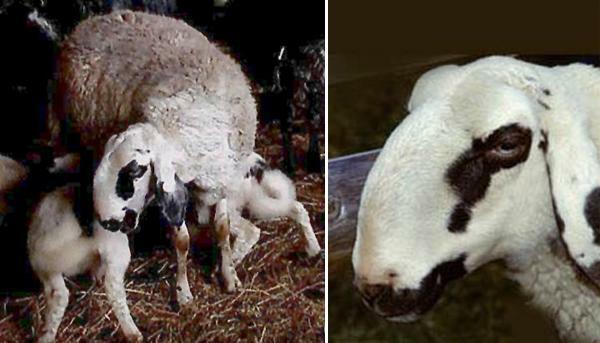 In the 18th century, the Villnösser sheep developed from crossbreeding the Carinthian landrace with the Bergamask sheep and the Paduan silk sheep. In Southern Carinthia, the Friaul and in Slovenia, the Villnösser sheep was the most frequently occurring stretched breed. Italy (Provinces of Trento and Bolzano, northern Italy): Villnösser Sheep / Fiemme Sheep (Stock: rams: 508; ewes 1624; total: 2132 - FAO 2005). The Villnösser is a strong and medium sized sheep with a roman and bare head with lop ears of medium length. Black spots around the eyes (glasses) contributed to the German name of the sheep ( "Brillensheep”). Pigments may, however, also occur at the ears and sometimes at the body or the lips. The meat is especially aromatic. The Villnösser sheep is especially characterised by out-of-season oestrus behaviour, hard hooves and fine wool.